The Norhaven is an elegant vanity that adds class to any room. The construction of high quality solid oak wood provides a level of durability and longevity that you can feel secure in knowing will last. The antique style design features hand-carved impressions, atop which sits a beautiful Italian Carrara White Marble countertop. 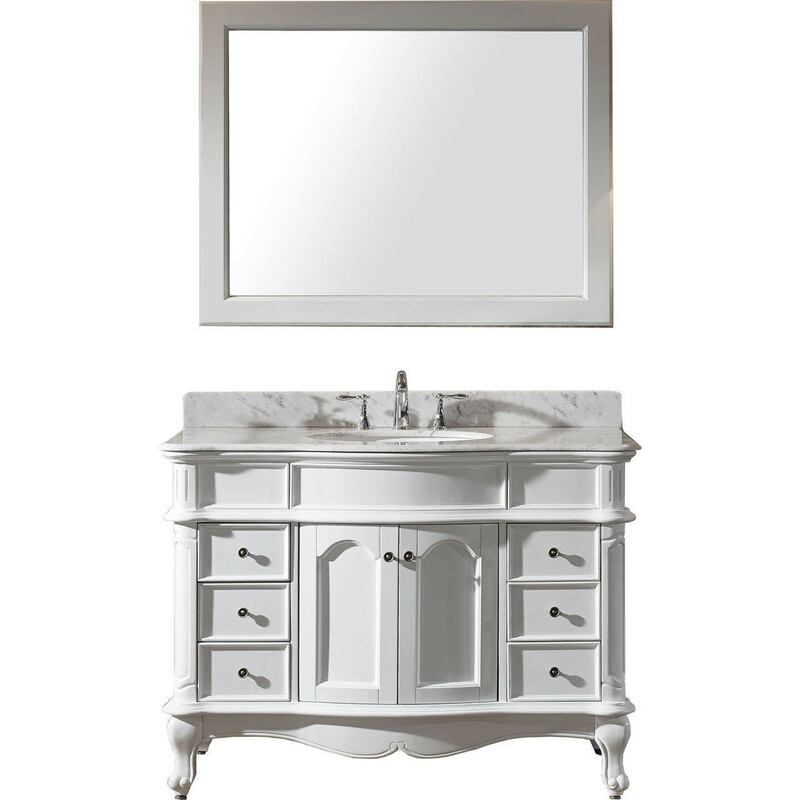 This 48” vanity comes finished in your choice of white or grey, with a matching full-framed mirror to complete the set. The Norhaven is truly an asset to any bathroom design.